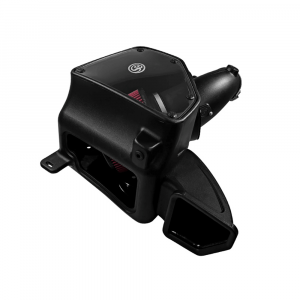 S&B Filters new, cotton cleanable intake kit for the 2014-2017 6.4L Dodge Ram Hemi has a huge airbox and filter that is highly efficient and improves airflow by over 35% over the stock intake. 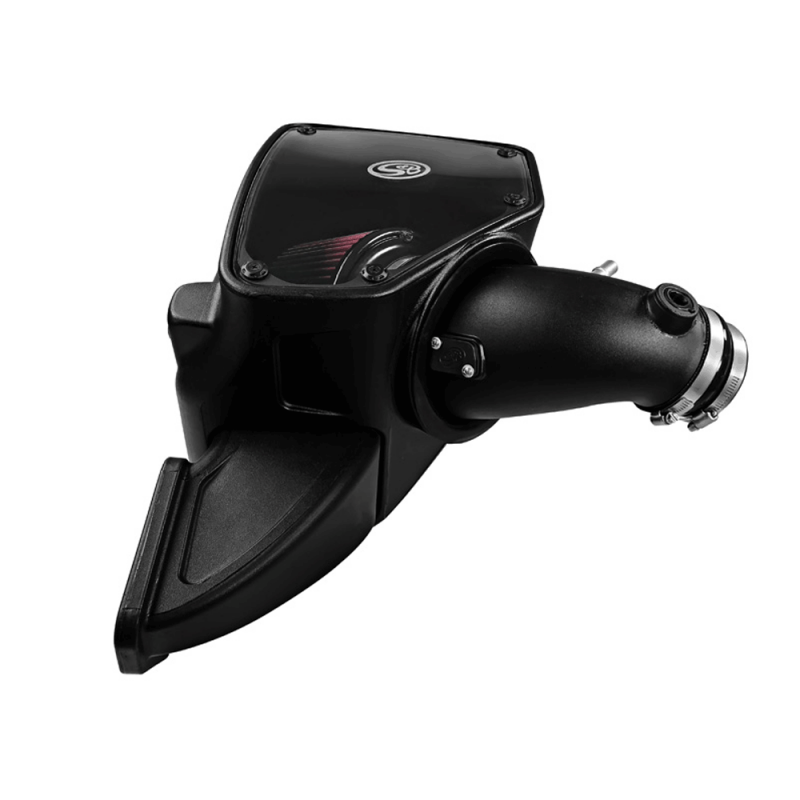 The 6.4L HEMI intake offers an optional air box plug that can be interchanged depending on your airflow requirements. Every piece of hardware is of the highest quality and the tube seal, coupler, and box plug are made with a premium silicone rubber. Our silicone offers exceptional tear strength and can handle temps as high as 400F degrees. The injection molded MAP sensor pad and block off plate ensure a secure high tolerance seal. Aluminum CNC lathed crankcase breather connection ensures perfect snap-on fitment. The innovative fitment of the 6.4 Hemi intake mounts perfectly to the stock frame, allowing us to increase the airbox by over 30%. 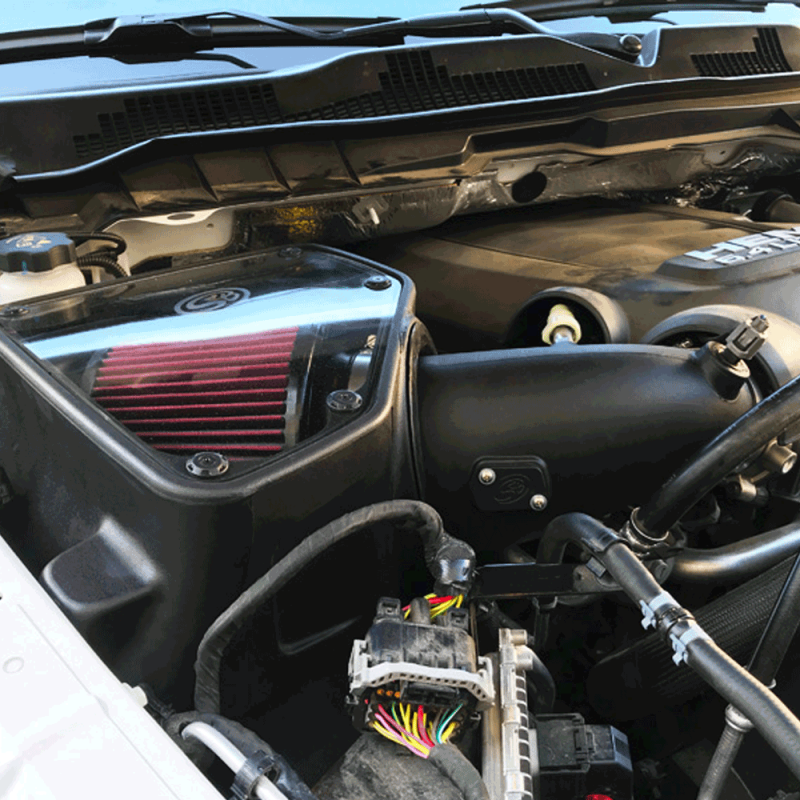 The air tube is positioned in one clean line with minimum obstructions from the throttle body to the airbox and a new snorkel was designed to maximize airflow.